Here are the projects for the March 14th class, Paper Purses. This first picture is of the paper purse we will be making that will hold the 4 cards we will make in the class, it uses double sided patterned paper, so the inside is yellow. There are four different papers to choose, so you may not have this brown paper. This is a shot of the cards for the class. 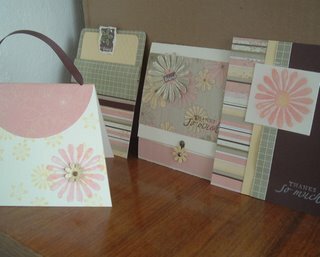 All the cards are made with the Looks Like Spring set from the Spring Mini catalog, the designer paper and the flower punch. 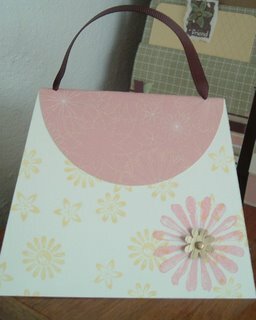 This is just a close up of the little purse card, it is my fav! 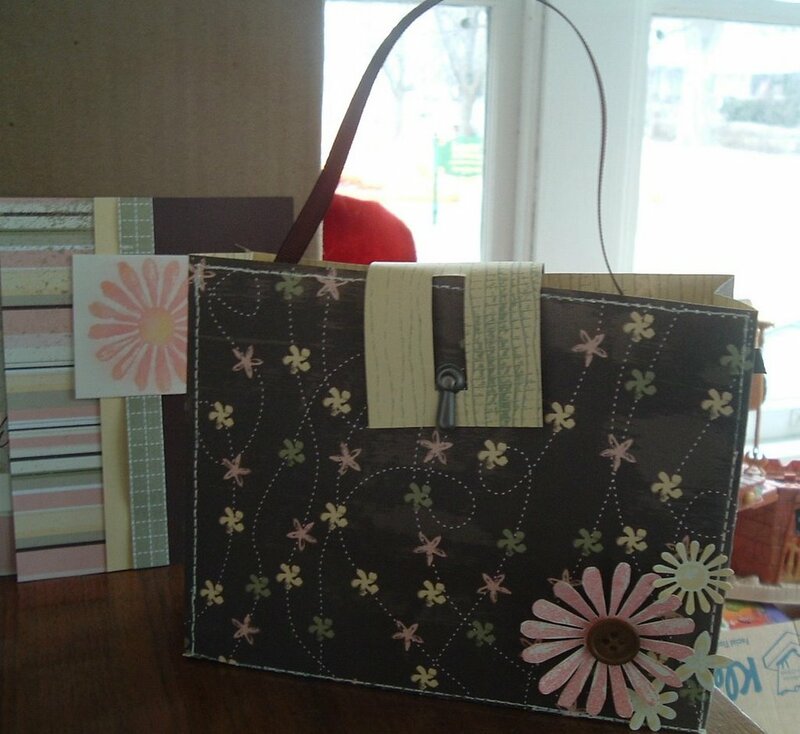 So, now that you have seen these cute little projects you have changed your mind and want to come to class next Tuesday, drop me an email, TODAY, and let me know so that I can prepare a class kit for you when I return to Chicago on Sunday. Thanks for lookin' y'all! I so wish I was close enough to take this class - it's AWESOME! Great job, Simone!